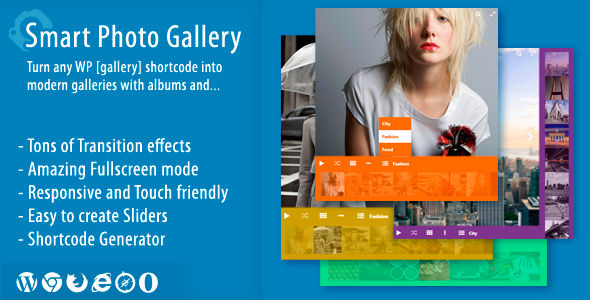 Turn native WordPress galleries into Smart Photo Galleries with albums, fullscreen mode and 3D transition effects. Unlimited scalability, compatible with all major browsers, responsive, retina and touch friendly. Use latest technologies like CSS3 and Vector Icons. Feel free to post comments on this plugin or send us e-mail via our profile contact form if you have any questions. Please give us if you like this plugin. Your feedback is much appreciated.